Colerne Village Hall is a superb facility! email colernevhall@yahoo.co.uk for hiring costs to book this superb facility. We are a voluntary Committee that manages and maintains a superb facility within the Village of Colerne, which is situated in between the city of Bath and the town of Chippenham, just off the A420. Luncheon Club, Whist Drive, Gardening Club, WI, History Group, Parents and Toddler Group, Children's Kung Fu, Colerne Musical Theatre, Qi-Yo-Chi, Fitness Class and Colerne Cinema. Contact us here to hire the Hall. We work together to maintain and update the Village Hall. To this end we have achieved Level 1, 2 and 3 within the Hallmark Scheme which is a quality standard scheme for Village Halls. Foyer, Ladies and Gentlemen's Toilets plus a toilet for the disabled. 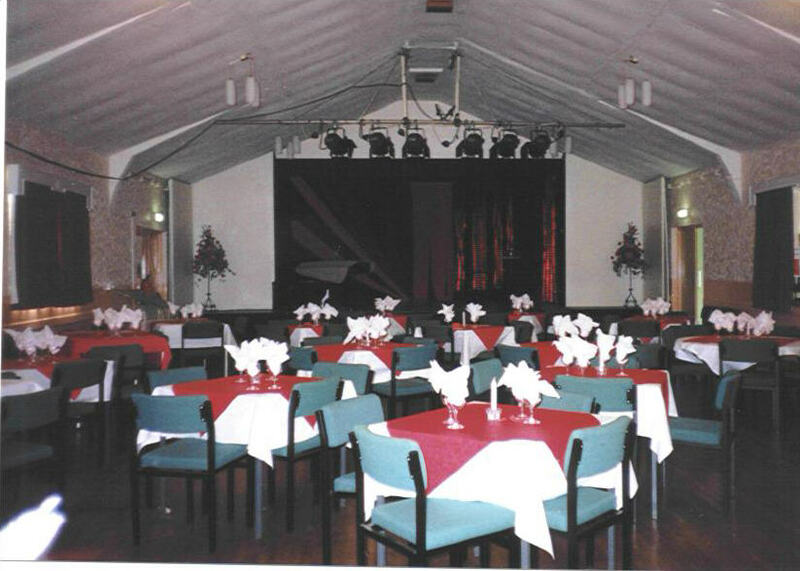 Main Hall, seats 150, and has a permanent stage with a motorised 14 foot projection screen above, Projector, Sound System, Hearing Loop and Microphones plus Broadband is available. Function Room plus a fully fitted Kitchen which contains a cooker, fridge and microwave. Across from the Kitchen is Committee Room 2 which has its own toilet facility. The Denys Sargent Room, seats 25, Broadband is available in this room, has its own entrance and toilet facility and can be independently hired from the Main Hall. The Hall is fully licenced and there is a small car park to the side of the Hall.